We’ve done it! We’ve made it to 4000 likes! Well, it’s official: you like us here at Action Mental Health – 4000 of you like us, to be exact, as of 10.30am, June 7, 2018. And we like, actually, we just LOVE you for it! 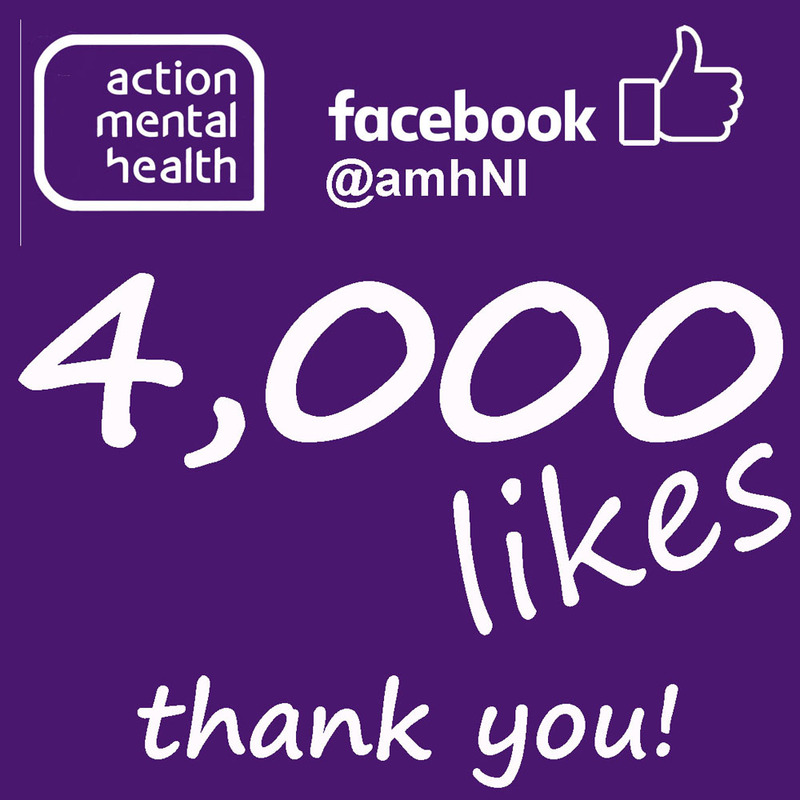 Since joining Facebook, AMH has been lucky enough to be ‘liked’ by some lovely people, who either have a vested interest in mental health – whether you have experienced mental ill-health yourselves, or perhaps work in the field, or it’s possible that you simply want to engage with an organisation that puts the mental health of Northern Ireland front and centre. With the issue of mental health now securely in the mainstream, with regards to society’s health and well-being, we are overwhelmed and grateful that you engage with us. We aim to bring you informative and helpful stories of what we do as an organisation, but also what is going on in the rest of the UK in terms of mental health, well-being and building mental resilience. AND very importantly, we bring you the inspiring, enterprising and often emotionally-charged tales of the countless generous people out there who raise funds for us so we can deliver the best possible service to those who need us most. It’s a joy interacting with you all, every day and we look forward to the next 4000 likes and the next after that! Keep liking us!